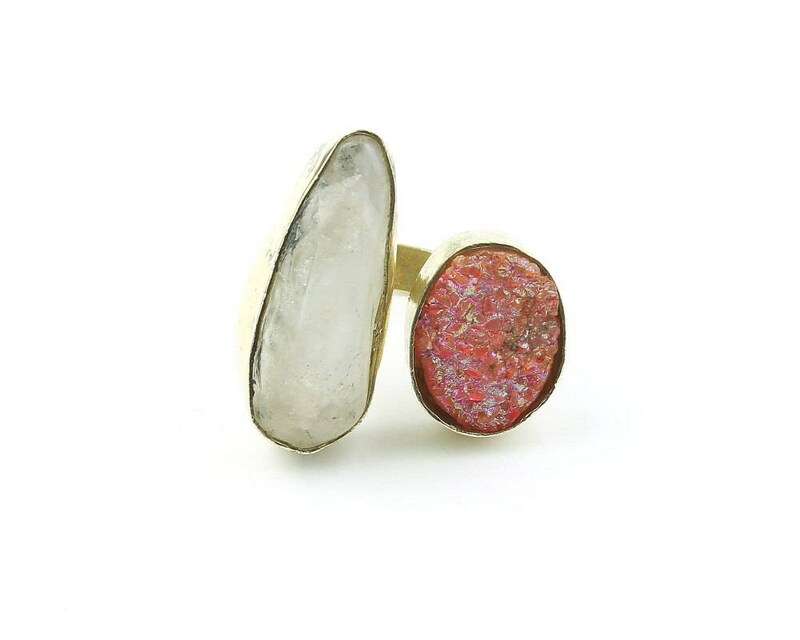 Beautiful raw crystal quartz and dyed druzy combination set in brass. 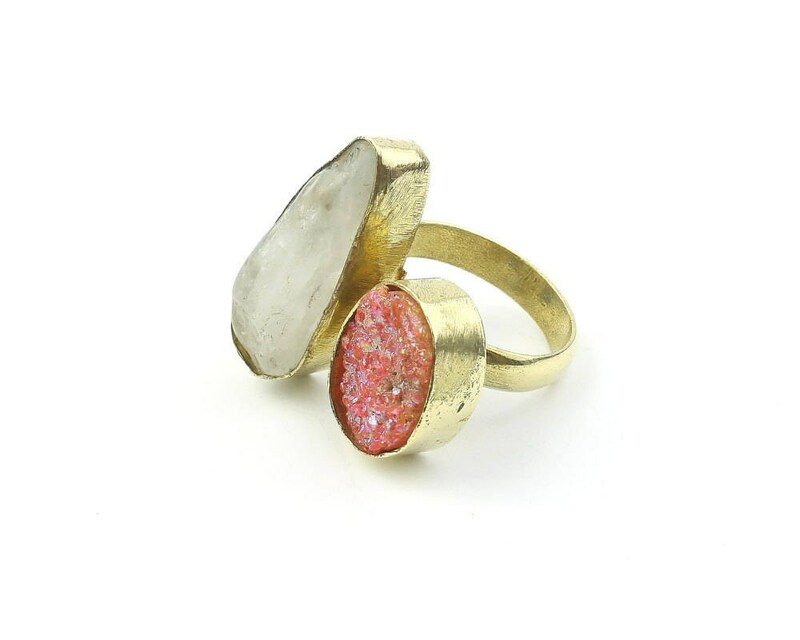 Rough hand made brass setting which contribute to the raw look of the stones. This piece is one of a kind.